Incorporating Email Marketing into your business strategy can help you convert visitors to buyers and build relationships with your customers. 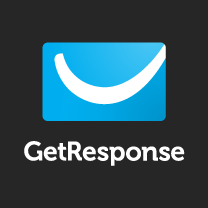 GetResponse makes Email Marketing easy for everyone, doesn’t matter you’re a beginner or an advanced pro. Easy list import - New customers’ contact info will automatically be imported to your GetResponse account. Easy email creator - Build beautiful and professional emails without any design or coding skills. Just drag and drop. Ready-made templates - 500+ professionally designed email templates you can use to start sending emails today! Learning center - Hundreds of videos and downloadable guides to get you started. Find out how simple email marketing can be, with GetResponse.